Jimmie Johnson is the most recent Cup Series driver to record 10 wins in a season in 2007. With Kyle Busch's hot streak, do you see him possibly getting 10 wins this season? Jim Utter: It's very difficult for teams to maintain a top-level performance from start to finish in a season - just look at the "Big 3" last year. Few thought the championship would come from anyone other than those three. Yet, right now, Kyle Busch's team and the driver himself seem to be able to overcome just about every obstacle in their path. I don't think he will reach 10 wins in the Cup series but I do believe he will come close. 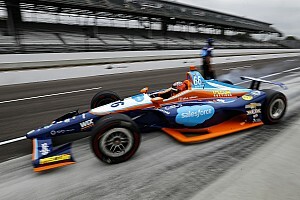 Nick DeGroot: He will get at least halfway there no question, but as the season progresses, those wins are going to be much more difficult to attain. But if he keeps up his current form, it's not out of the question, but I'd put my money on he and a couple other drives peaking just above five wins and no further. 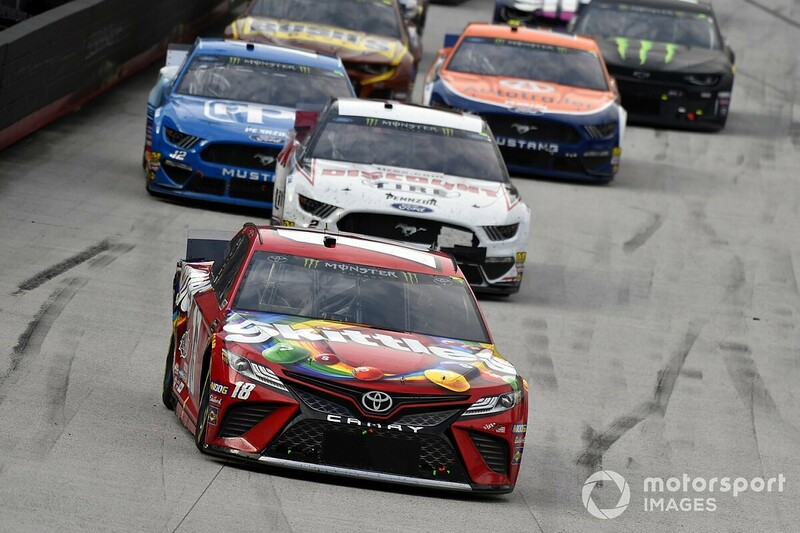 Tim Southers: I think Kyle Busch could easily reach 10 wins this season based on his performance so far this season, however, there is a lot of things that have to happen. A good example is this weekend, if Joey Logano and others ahead of him stayed out on that final caution of the race Busch probably wouldn’t have won. But from a pure desire and talent level, I think he’ll go for 10 this season for sure. 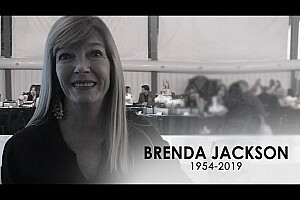 Based on social media posts by a lot of drivers and people within the industry, Sunday's Cup Series race was one of the best in recent memory at the track. Do you agree or disagree and why? Jim: I completely agree and the best thing about it was that most people felt that way even though the race didn't have an usually high amount of caution flags. There just seemed to be some very good racing on the track, including the use of multiple grooves and race leaders having to navigate lapped traffic. There were also a multitude of different storylines throughout, starting with Kevin Harvick's penalty and a Lap 1 wreck that collected several contenders, including the eventual race leader. Nick: Yeah, it was a good one. I thoroughly enjoyed it and the drama throughout the race. It didn't need carnage to keep interest with so many developments throughout the race and changes in the running order. The battles were intense as well and although I don't know if I'd call it the best race in recent memory, it's certainly one of the top races of this season so far. Tim: I agree it was one of the best races - if not the best - NASCAR Cup Series race of the young season. The racing for the lead was very competitive and the storylines of Kevin Harvick’s pre-race inspection issues and penalties, the early multi-car incident and late race situations made it very entertaining. I also love the different grooves drivers use to race two and three wide on the fast half-mile track. Chevrolet remains without a Cup victory so far in 2019. Where do you think is the most likely track for a Chevy driver to break into Victory Lane? Jim: I would suspect the next Chevy driver to win a Cup race will be the same one who won the manufacturer's most recent one - Chase Elliott. And I believe it will come no later that the first race at Dover, Del., the same track on which Elliott won last fall. While I think Jimmie Johnson has shown great strides of late, I'm not sure they are quite at the point of pulling into Victory Lane just yet. Nick: Well, to be honest I'd have to say Talladega Superspeedway. 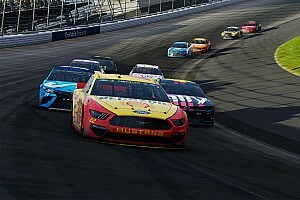 Chevrolet is strong at plate tracks, but it's also a place where anyone can get the win if they put themselves in the right position and stay out of trouble. Although they're making headway on their intermediate program, they are still behind the Toyota and Ford teams. Tim: While I agree with Jim that I think Chase Elliott will be the first Chevrolet driver to win, but I also think Kurt Busch could also challenge for a win. While Jim thinks Dover might be the track, I think it could come at Talladega Superspeedway in a couple of weeks as there always seems to be surprises at NASCAR’s biggest track. Christopher Bell cashed in the $100,000 Dash for Cash bonus last Saturday in Bristol. Do you see him making it 2-for-2 this weekend in Richmond? Jim: It's certainly possible, especially considering Bell already has two career wins at the track. I would not count out Cole Custer, however. He won the pole for this race one year ago and finished sixth, including leading 43 laps. And Custer and his Stewart-Haas Racing team are much improved over last season. Nick: It's hard to bet against Christopher Bell and if you look at his Richmond record, it's very impressive -- two victories in just three Xfinity Series starts. I fully expect him to capture the checkered flag once again Friday night. Tim: I think Christopher Bell could easily make it two in a row this weekend at Richmond (Va.) Raceway. 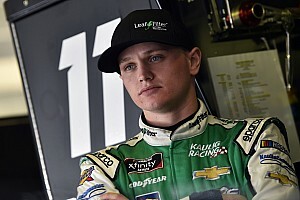 Anything can happen racing for that amount of money, but he and Cole Custer appear to be the two best cars in the Xfinity Series week in and week out.